David Fox says the agency is heading into its fourth consecutive year of growth and deeper management is now required. “All four of these leaders have clearly demonstrated to the business and the broader market that leading an agency with different, but complementary skills, can result in outstanding success,” he says. 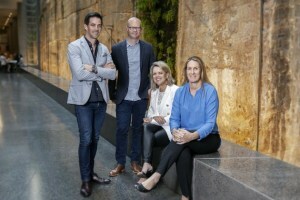 "Gavin and Michael in Melbourne, and Sally and Michelle in Sydney have already proven themselves as formidable management teams that can work together to nurture strong cultures, enabling both organic, and new business growth through our fully integrated digital, social, content and data offers." He says the new positions will give the four leaders greater opportunity to build the next level of business change by taking full management responsibility for their respective offices. "They’ll be focussed on future-fitting the business with all the marketing armoury that our clients need from marketing automation, consulting, earned influence ideas through to the continued push of full digital services," Fox says. Fox said the promotions were effective immediately, with both the Sydney and Melbourne MD teams reporting directly to him as CEO. 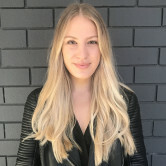 Ogilvy Australia has promoted four of its key leaders across Sydney and Melbourne in a bid to position itself as the "agency of the future". Sally Kissane and Michelle Holland have both been elevated to managing directors for Ogilvy Sydney, after working together as Managing Partners for three years. In Melbourne, Gavin MacMillan and Michael McEwan also become managing directors following three years in the roles of managing partners. Ogilvy Australia CEO and WPP AUNZ chief transformation officer David Fox says the agency is heading into its fourth consecutive year of growth and deeper management is now required.